Prominent & Leading Exporter from Chennai, we offer magic coloring with water sports, magic coloring with water child safety books, magic coloring with water good habits books and magic coloring with water people at work. 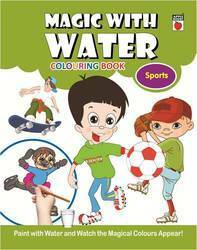 Magic Coloring with Water Sports & Hobbies book offered comprises pictures of sports and hobbies and involves coloring with water. Made available in 16 page softbound finish, the book is simple to use and opens a delightful world of self-play to children. Each page of the book comes beautifully illustrated with pages on a variety of themes that children can color. Further, the worksheet assists in reinforcing concept & recognition of colors while coloring pages that are fun to indulge in. 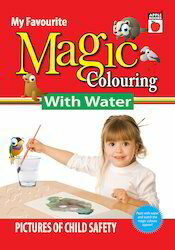 Magic Coloring With Water Child Safety book offered features pictures of child safety and involves coloring with water. Made available in 16 page softbound finish, this water coloring book is suitable for use at home or in the classrooms and works as a great activity for children and kids who enjoy coloring pages. With the pages offering a unique coloring opportunity to children, the worksheet are designed to help students recognize colors through association with pictures as well as assist in developing knowledge on child safety while developing their motor skills. 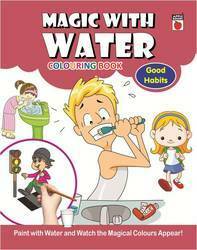 Magic Coloring with Water Good Habits book offered comes with pictures of good habits and involves coloring with water. As a 16 page softbound book, it comes with element of surprise for the children and are fun to work with. As a perfect choice for introducing children to early childhood lesson, the interactive book layout teaches children about good habits while coloring pages. Further, it also helps kids develop eye-hand coordination and is suitable for personal, school teaching needs. Looking for Magic with Water ?